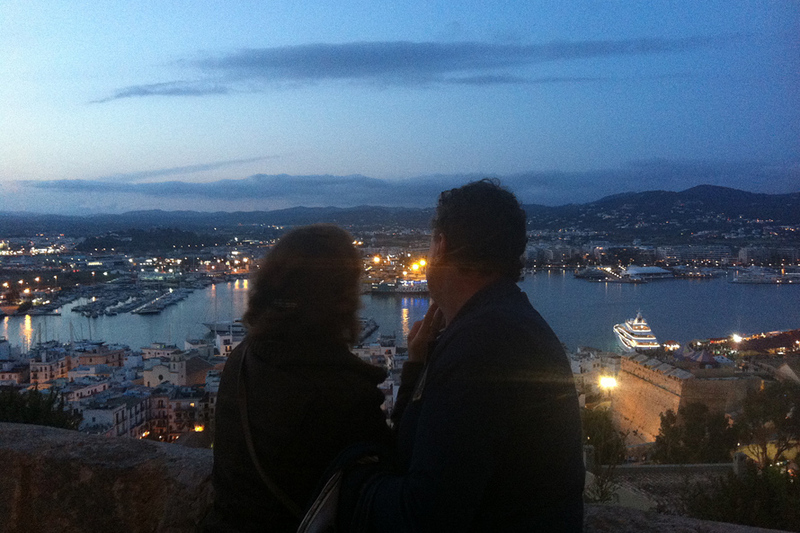 Ibiza can be very festive, it´s true, but also family and really really loving. To get this, there´s only necessary good company and note down in your travel log some addresses that favor romance. In this first post dedicated to the most romantic Ibiza we propose you three really appealing plans, so that you can set all that extra dose of kisses, cares and complicities that you carry in your suitcase to this island, free. Almost any place of the western coast can be a fantastic and romantic lookout point over the sundown. In this case we recommend the rocks of Cap Blanc in Sant Antoni, between the Aquarium of the same name and Cala Gració beach. We love it for its tranquility and its fantastic panoramic view over Sa Conillera Island. Do you want an extra dose of romanticism? Few meters from the Aquarium, towards the Cape, you will find a little blow-hole among the rocks where escapes the sound of the waves of the sea. The inner Ibiza, the one that is enclosed among the Reinassance walls, hides some of the most romantic corners of the island. Its alleys, that go up toward the Cathedral, not only discover its humble and beautiful whitewashed houses but also noble mansions, calm small squares and a fantastic stroll throughout the walls with spectacular panoramic views over the port and the southeastern coast of the island. 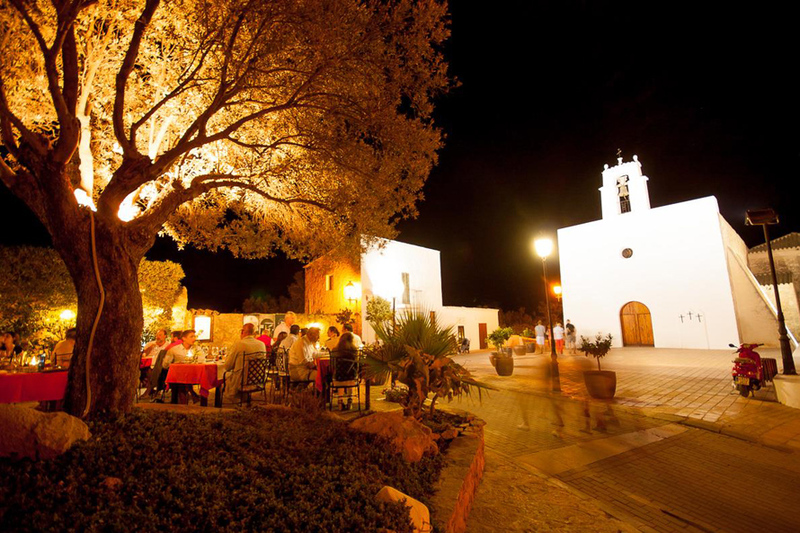 This lovely town of Sant Agusti, formed by almost ten houses, hosts one of the most romantic restaurants of Ibiza. Can Berri Vell. The tables, illuminated with candles are spread out through the rooms and the garden of this old peasant farmer house with a lovely view to Sant Agustí´s church. The Delicatessen appears in the menu with a sophisticated selection of proposals of the new Mediterranean kitchen. The best plan for an unforgettable night. Bonus: Escape one day from Ibiza and enjoy Formentera, one of the last Paradise of the Mediterranean Sea. Check our daily departures, book your trip now and enjoy a full romance day.